Fifty years ago, Star Trek invited us to imagine a portable, wireless device in the palm of our hand that monitors and diagnoses our health conditions. Now this Tricorder is coming to life, thanks to the $10M Qualcomm Tricorder XPRIZE. Come hear about the 50 year voyage from “science fiction to reality” and how this innovation in healthcare will give us far greater choices in when, where, and how we receive medical care. Join us as we take a moment to appreciate how this device will surely help us all live long and prosper. Grant R. Campany is a 20-year veteran in the life sciences and former Entrepreneur-in-Residence at the FDA. Grant has held leadership positions at 3M, Chiron Corp, and Onyx Pharmaceuticals. Grant has successfully raised over $20 million for start-ups as well as closed deals valued over $250 million. 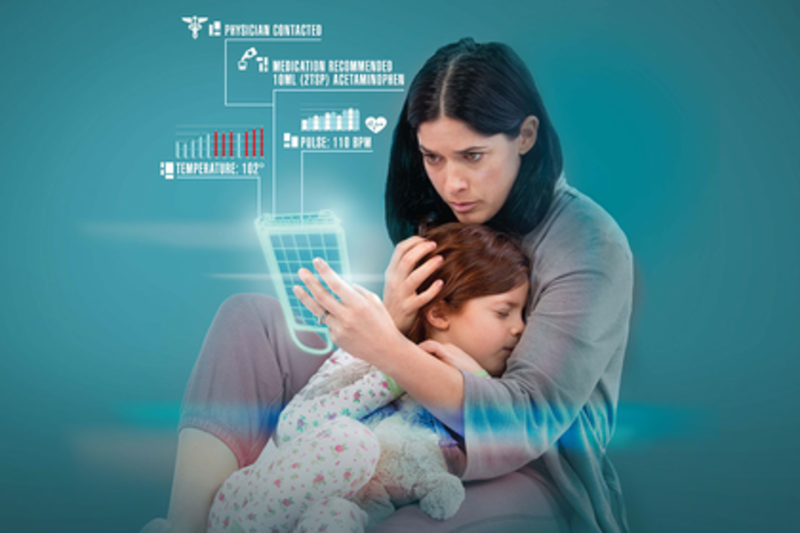 Grant currently serves as the Prize Lead for the $10 million Qualcomm Tricorder XPRIZE--an incentivized competition to transform healthcare for millions of people around the world. Grant has an MBA and BSB and graduated Phi Beta Kappa and With Distinction from the University of Minnesota, Carlson School of Management. Rick has more than 25 years of entrepreneurial innovation and executive leadership experience in rapid-growth, technology-enabled businesses along with a proven track record in market disruption, strategy execution and value creation. As the founder and leader of Qualcomm’s health care subsidiary, Qualcomm Life he directs Qualcomm’s product, technology and M&A strategy in the wireless health market. Rick also has a hand in driving wireless health innovation outside the company through his involvement with organizations such as the World Economic Forum’s Health Systems Initiative, business accelerators such as Rock Health and through his oversight of the $100 million Qualcomm Life Fund which makes direct venture investments in digital health startups. Rick is an active member of ACHE, HIMSS and mHIMSS. Earlier in Rick’s career, as founder and CEO of ProfitLine, he cultivated his business savvy building the company from a one-man consulting firm into a 200 person, multi-million dollar enterprise that is now the West Coast arm of Tangoe Inc. (TNGO). During Rick’s tenure as CEO, ProfitLine was one of Inc. 500’s fastest growing companies in America for three years and on Deloitte & Touche’s Fast 50 companies four years in a row. Rick was awarded the Ernst & Young Entrepreneur of the Year award in 2003. Rick is a native San Diegan, committed to the community. He uses his business building know-how to help fellow entrepreneurs launch enduring technology companies as a mentor at the Founder Institute and a member of the Executive Committee of the San Diego MIT Enterprise Forum. He also supports student entrepreneurs as a member of the Board of Advisors at the University of San Diego School of Business. He is a board member of Pedal the Cause, a cancer research fundraising organization, a former chairman and long-time board member of Big Brothers Big Sisters of San Diego County and actively supports Rady Children’s Hospital and the Pediatric Diabetes Research Center at UCSD. As Projects Editor, Sophie leads Popular Science's coverage of the maker movement, independent inventors, and all things DIY. She also reports on physics and astrophysics, lends her voice to podcasts, produces videos for social media, and talks about science on the news. Follow her on Twitter @sophiebushwick.